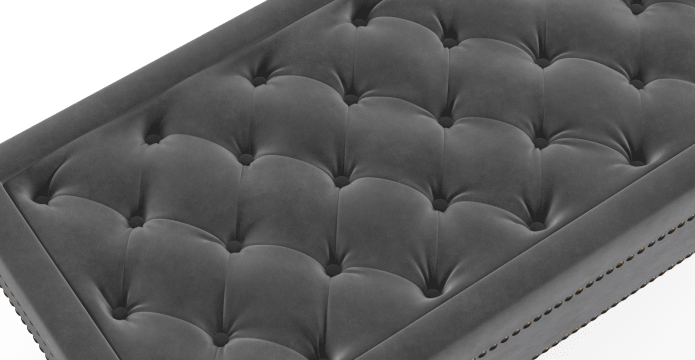 The Helene® Velvet Ottoman is designed for comfort. Filled with plush foam, this is the ideal place to put up your feet, or to use as an extra seat when a guest comes over. View the full Helene® Collection range here. The Helene® Velvet Ottoman comes expertly upholstered with your choice of Warwick Mystere fabric. Woven from strong polyester, Mystere has a soft velvet touch but maintains the easy to take care of nature of polyester. 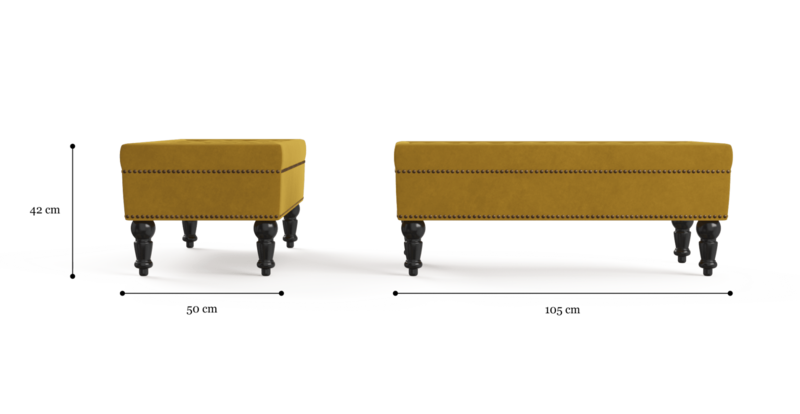 Expertly carved wood legs are paired with chic accent studs to create a perfectly classy ottoman that fits in any decor. These carefully considered designer details elevate the Helene® above any other ottoman, with extra touches of class and elegance. Emblazoned across the Helene® Velvet Ottoman is a beautiful deep pocket stitching that adds depth and texture, creating a real eye catching piece that is perfect for your home. See, touch and feel our fabrics used on our Helene® Velvet Ottoman. For Free! Simply select up to 3 fabrics and add them to your cart. Delivery is on us.